Trave UI Kit is a great mobile UI Kit packed with over 30 carefully crafted screen layouts, designed at 750×1334px in Sketch & for Sketch . Trave is an excellent assistant for the fast creation of your project. 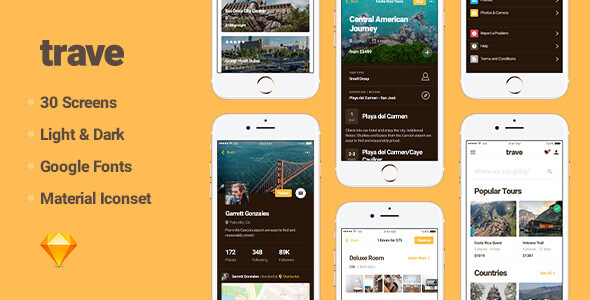 Each layout was based on modern design trends for Travel Apps.